If you’re thinking about installing patio furniture, one of the most popular and attractive options that you have will be teak. Teak patio furniture is natural, durable, and attractive, but it is also expensive. So is teak the best option for your patio or is another, cheaper option better? Teak is made from a tree that is related to the mint tree and grows in the monsoon forests of Southeast Asia. Today, most of the wood comes from teak plantation in Indonesia and Myanmar with a certificate of approval from the Forest Stewardship Council to make sure that no precious, old-growth forests were cut down during its construction. The natural oils that are present in teak make it a great for a variety of different uses outside as it will resist weathering and even damage from insects. Unfortunately, teak is expensive to make furniture out of and because of this, you have to think hard if teak is right for you. While teak is extremely durable and will hold up under almost any circumstances, you will still need to perform a small amount of maintenance on it to prevent it from turning a grayish color. It also won’t hold up to everything and will be vulnerable during cold winters or to spills and stains. If you want your patio furniture to be almost impervious to damage from the weather, spills, and stains, a better option is resin patio furniture. 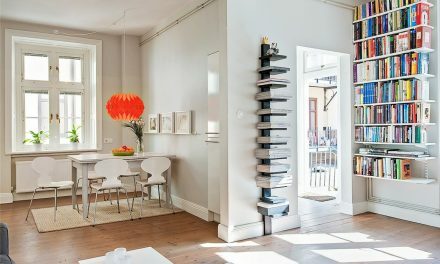 This furniture is an especially good option for families with young children where money is tight and the furniture will likely take a large amount of about. Resin furniture is made from recycled plastics around a metal frame and there is almost nothing these pieces of furniture can’t handle. Whether it’s spills, snow, or rain, all that you’ll have to do is take a hose to this patio furniture to clean it off and get it looking brand new again. Teak is a great option for many patios, but it isn’t for everyone. 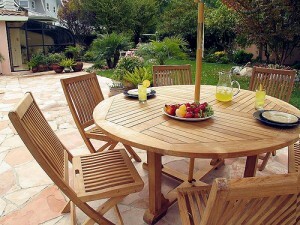 If you want a cheaper option that is just as, if not more durable, consider buying your patio furniture made from resin.